In November, I participated in Picture Book Idea Month (PiBoIdMo), hosted by Tara Lazar. 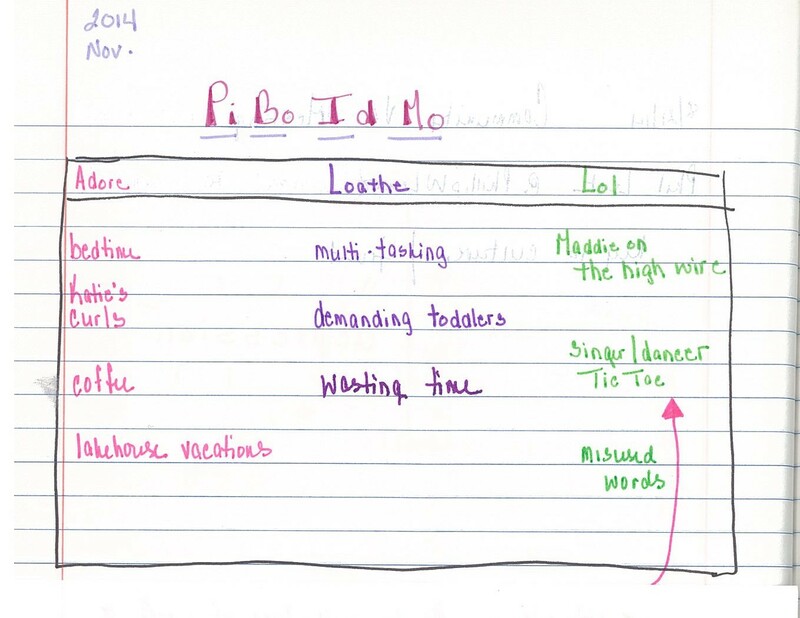 The goal of PiBoIdMo is, after reading a month’s worth of blog posts and writing in your writer’s notebook each day, to walk away with at least 31 possible picture book ideas. It worked! By month’s end, I had written down 31 ideas. Some of my ideas are terrible (a spider who is afraid of tornadoes), and some of my ideas are really, really good (those are confidential for now). Along the way, I also learned a few idea-generating strategies to share with students. This was really fun to do and led to some interesting plot developments. 2. List things you adore, loathe, and laugh at. You can see just by listing a couple of words under each heading, I already started generating story ideas. Perhaps a story about a curly-haired toddler who misuses her words? Or a demanding toddler who loves to make-believe, driving her family crazy? For example, my snippet of an idea was a young child pretending to walk a high wire across her living room floor. What could happen next? Then, choose one of those routes and write both an expected and an unexpected ending to the story. I can’t share with you the outcome of this strategy from my notebook; it just might be a picture book in progress. All of the daily PiBoIdMo blog posts were inspiring. I have a long list of possible story ideas, and I feel more confident helping students generate story ideas. 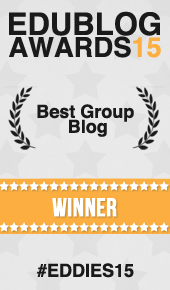 ← Join Our Writing Community! I love this! My students and I need this boost in generating ideas. Thank you so much for sharing! Your book possibilities sound intriguing. That’s for sharing these ideas. I participated in last year’s March SOL challenge and have been considering whether or not to try again this year and this post is very motivating! I hope you’ll join us again, Lee! Thanks for these great reminders from November. Tara ran a great month for all of us! I just busted out my first manuscript from one of my PiBoIdMo ideas yesterday. Would love to share it with you once I tweak it a little more! What a great post, Dana. It combines two of my favorite idea generating ideas – brainstorming and listing, then looking for new ways to combine the lists. I love this idea for kids and will try it myself! Thanks.